It’s been awhile, but the Ritz is back in action. After a renovation that kept its doors shut for nearly four years, the Ritz Paris opened recently, 118 years after it first opened on June 1, 1898. But, this was almost three months later than intended, because of a fire at the property in January. 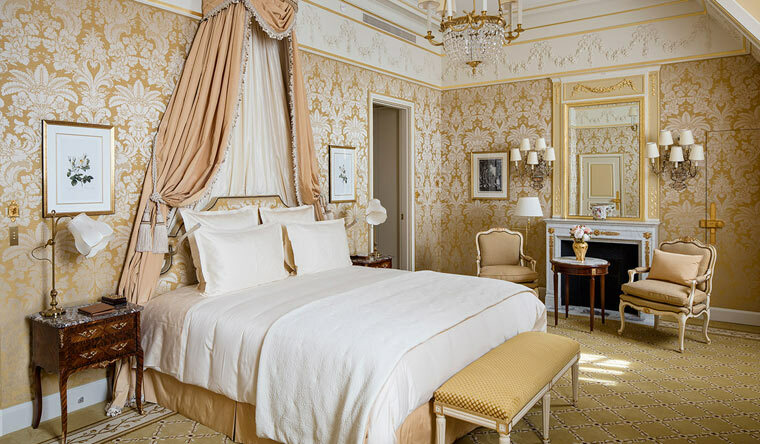 Historic hotels and stories of their renovations don’t always make for original ink, but the Ritz Paris, on the Place Vendôme in the city’s first arrondissement, is more storied than most. The cadre of famous names with an affinity for the Ritz throughout its existence included Marcel Proust, Hemingway, F. Scott Fitzgerald, and Coco Chanel, who lived there for 34 years, from 1937 to 1971. 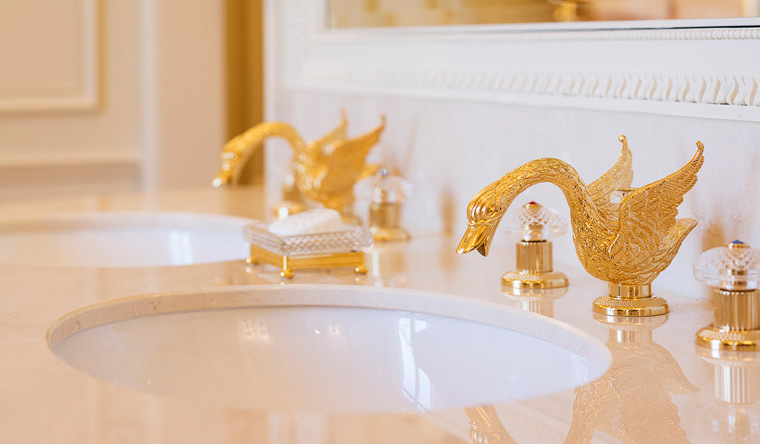 And, indeed, with every guest room equipped with its own bathroom, an unheard-of amenity then, the Ritz seemed to instantly attract high society. Which prominent names were regulars? Maybe the better question to ask is, which ones were not? The cadre of famous names with an affinity for the Ritz throughout its existence included Marcel Proust, Hemingway, F. Scott Fitzgerald, and Coco Chanel, who lived there for 34 years, from 1937 to 1971. But, even the best hotels wear with age. Mohamed Al-Fayed, an Egyptian businessman and the current owner, bought the property from the Ritz family in 1979. In 2012, he decided to shutter it for the first time, to conduct a makeover that would bring it back to its former glory. “Closing down the hotel was not an easy decision to make, but it was necessary to maintain the preeminent position of the Ritz Paris,” he said in an email interview. The overall details of the F. Scott Fitzgerald Suite. 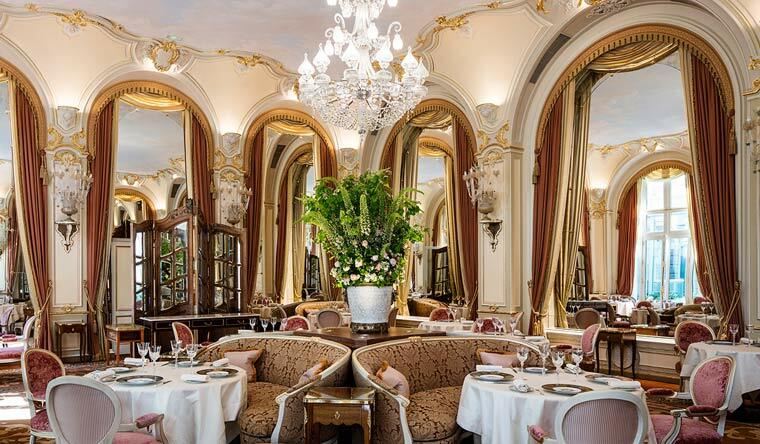 Much of the task for this upgrade fell to Thierry W. Despont, the New York-based French architect and designer said that he had sensed a tiredness about the Ritz in the time he had spent there on visits to Paris. “It needed a redo, but maintaining its essence and strong identity was essential, and my vision was to keep the Ritz exactly as it was but better,” he said. Aesthetically, the hotel still has the traditional 18th-century French décor that its guests are familiar with. But, the difference now, according to both Boyens and Despont, is that there is a lighter, fresher feel throughout. The bathroom at the F. Scott Fitzgerald Suite. The red carpet entrance looks virtually identical to its pre-renovation days, but is now wider and has windows across the top that make the lobby feel airier. The reception area, once a room with 10-foot-high ceilings and a mezzanine level above it, has been transformed into a light-flooded space with 18-foot-high ceilings because Despont got rid of the mezzanine and opened the room’s sealed high oval window so that it overlooks the Place Vendôme. The living room of the Vendôme Suite. His approach may be understated, but there is plenty that is brand new including the plumbing, heating and cooling systems, high-speed Wi-Fi and telephones from which guests can control lights and temperature. Also, there are now 142 rooms instead of the 159, the old number, and 71 are suites (because of the fire, only 90 rooms are currently available to book). 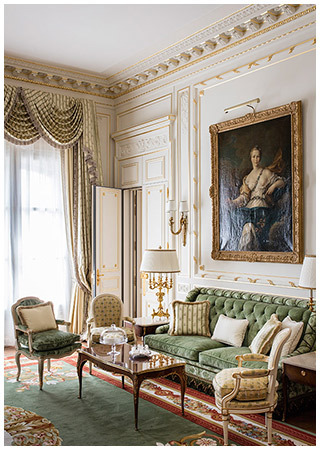 The furniture in all the rooms, including two of the most prized before the renovation—the Imperial Suite and the Coco Chanel Suite—is a mix of restored pieces, newly acquired antiques and replicas. There are also new themed suites, each unique, such as those named after Mozart, Maria Callas and Proust, who is finally getting his due at the hotel he adored so much. On his death bed, the story goes, he wanted cold beer that had to come from the Ritz (the hotel supposedly always kept one on ice for him). In addition to the Proust suite, Despont has designed the Salon Proust, a space with French oak walls where guests can partake in afternoon tea. Other additions to the property include a tunnel under the Place Vendôme, linking the hotel with its parking garage, to give guests the option to enter in privacy; the world’s first Chanel spa, Chanel au Ritz Paris, a seven-treatment-room area that is part of the two-storey health club; an underground ballroom that can accommodate 400 guests; a third kitchen in the cooking school, École Ritz Escoffier; a shopping passage linking the Ritz’s two buildings; and retractable roofs for the two existing restaurants—the brasserie-style Bar Vendôme and the gastronomic French restaurant L’Espadon—to make their terraces usable all year. And then there is Despont’s garden. “The hotel had this private open space in the heart of Paris that was like an uncut diamond,” he said. His vision of a Versailles-style small park came to life with the help of the French landscape architect Jean Mus. The 21,500 square-foot cream-and green-hued oasis is lined with more than two dozen linden trees and is replete with hanging ivy and beds of white roses, when they are in season. 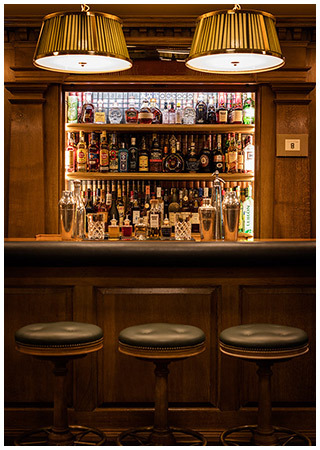 The garden may be a surprise, but what looks almost the same is the Bar Hemingway, the author’s favourite watering hole, which was named after him in 1994. His bronze bust is intact, and the new green carpet resembles the old one, but the space is now awash with freshly sourced Hemingway memorabilia like his fishing rods and original passport photos. And still in place is Colin Field, Bar Hemingway’s head barman who is a celebrity in his own right, in part because of his inventive cocktails. For several months, he kept busy devising cocktails that were introduced at the hotel’s opening. “One is a Bloody Mary where customers are presented different kinds of in-season tomatoes and choose their favourite, which I (use) to make the juice for the drink,” he said. Al-Fayed is funding the project, and though the exact dollar amount is not public, Matthieu Goffard, a hotel spokesman, said that it is more than the rumoured figure of 1,500 crore rupees. Like the lives of the eclectic personalities associated with the Ritz, the reopening did not come without drama. The electricity-related fire on January 19 on the roof of the Rue Cambon building delayed the opening from March to June and has rendered the 50 rooms inside unusable for another year or so while the roof is repaired. 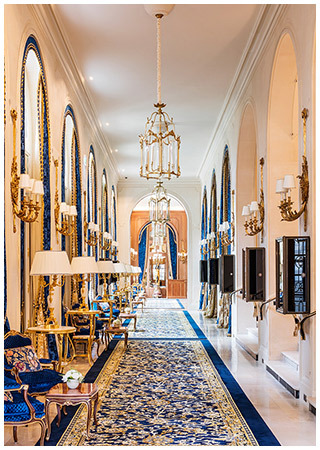 “The new Ritz Paris remains the same as the old Ritz Paris but is a better version,” Al-Fayed said. 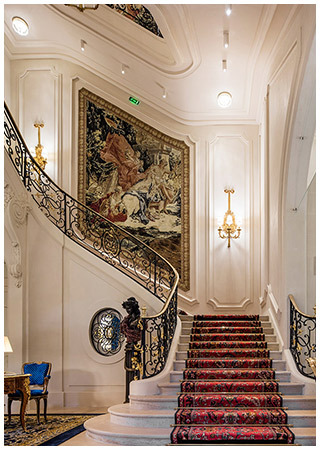 And so, the Ritz Paris, anew, but in many ways the same, lives on. Room rates from ₹75,000 approx. 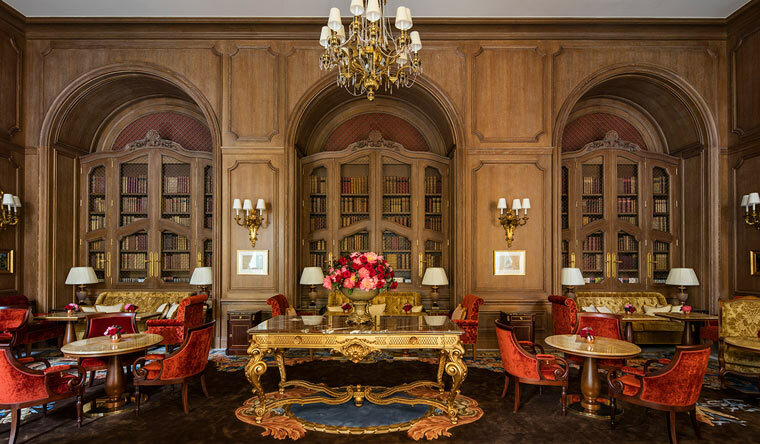 After a renovation that lasted nearly four years,the Ritz Paris reopened its doors to reveal its treasures, including the Salon Proust.